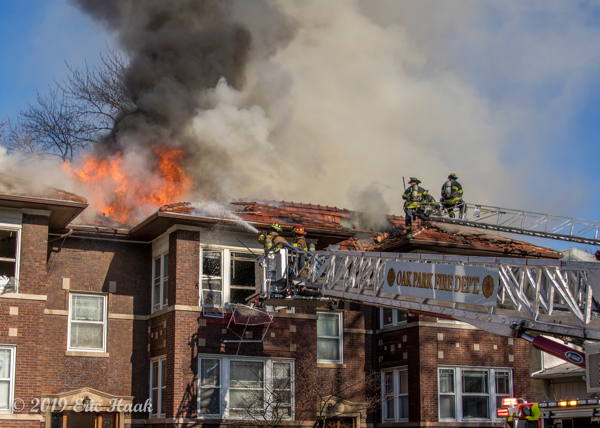 Photos from Eric Haak of a 2-Alarm fire in an apartment building at 530-534 S Scovill Avenue in Oak Park Saturday afternoon (4/13/19). 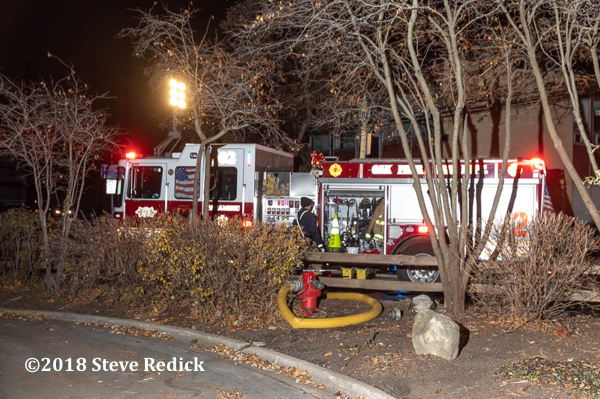 In an attempt to keep its police and fire departments at optimal staffing levels, the Oak Park Village Board has approved a staff plan to over hire in its public safety workforce. 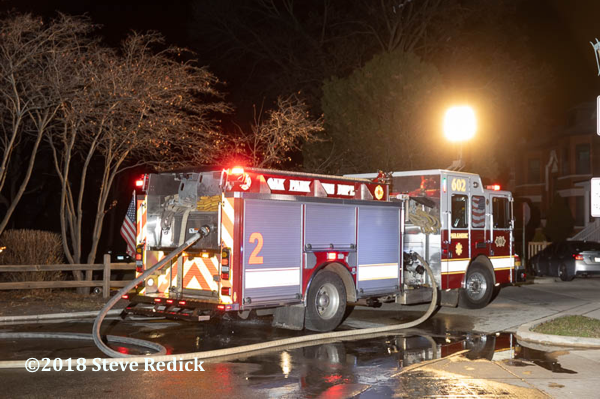 Village staff told trustees on Jan. 28 that the move is necessary as the time period to hire young police officers and firefighters can take several months. Staff would begin the hiring process early in anticipation of pending retirements/resignations or cases of long-term disability. The village board previously approved similar programs for the 2017 and 2018 fiscal years. Trustees approved the 2019 program by a 6-0 vote. 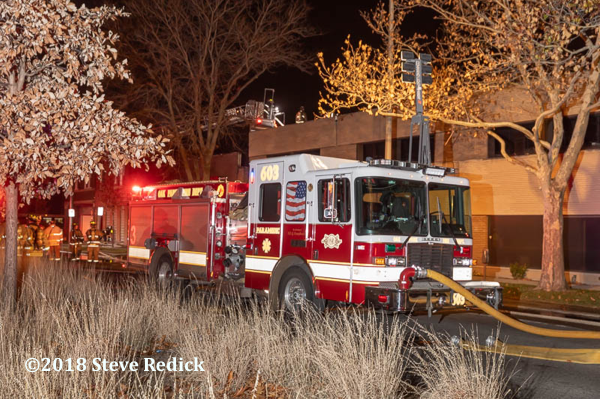 According to village staff, prior to July 2017, Oak Park did not have a method to address staffing issues related to employees leaving their respective departments. The result was overtime wages at a minimum of 1.5 times the hourly rate to maintain minimum staffing levels. 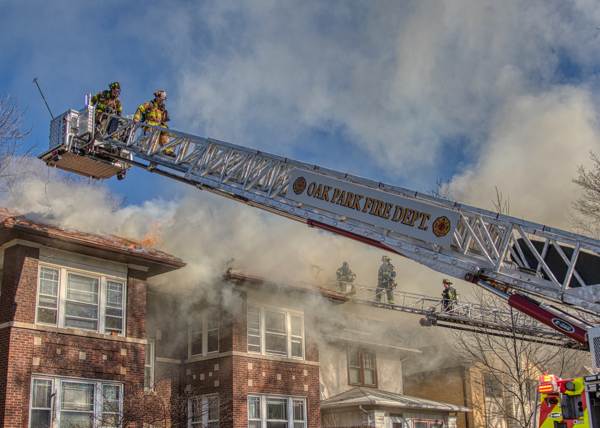 Village staff says the lengthy recruitment process for police and fire officers can be challenging as Oak Park competes with neighboring suburbs and Chicago for new recruits. 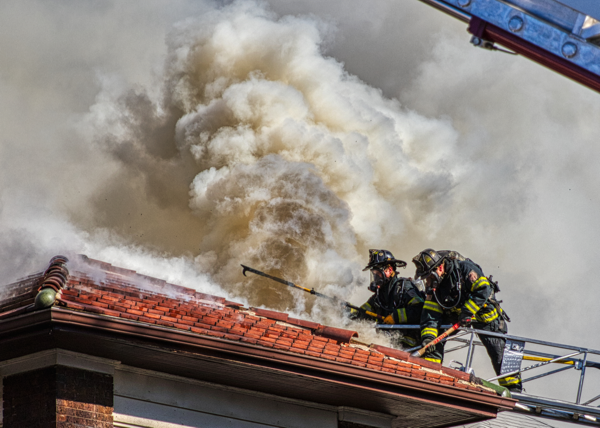 An attempt by the village of Oak Park to establish a new way to evaluate whether its firefighters claiming to have been catastrophically injured in the line of duty should receive retirement health insurance benefits, has drawn a legal challenge from the union representing its firefighters, who say the village’s ordinance establishing the new rules violates Illinois state law and the firefighter’s rights as public employees under the state constitution. 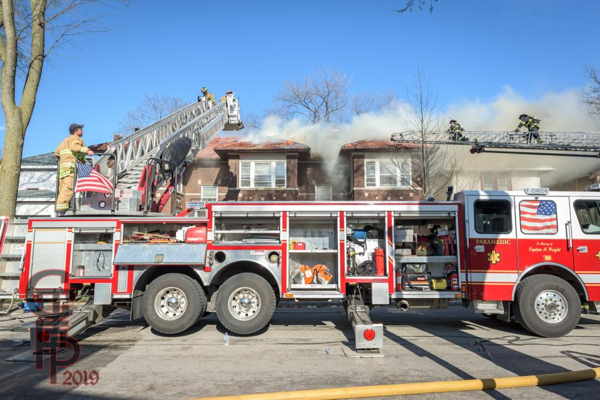 On Nov. 26, International Association of Firefighters AFL-CIO Local 95 filed suit in Cook County Circuit Court against Oak Park, its mayor, and village board. 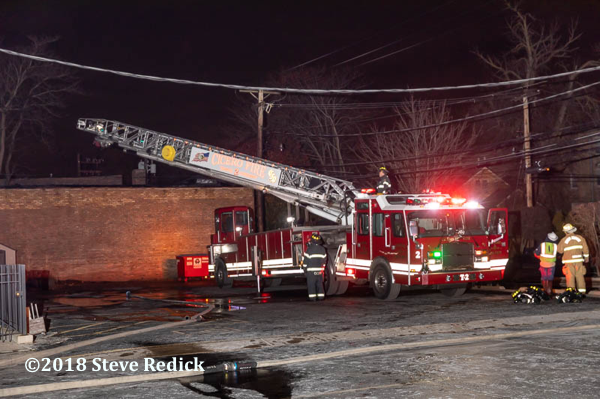 The lawsuit focuses on the village board’s approval of an ordinance in early September, which creates a new administrative procedure for assessing and determining claims under the Illinois Public Safety Employee Benefits Act (PSEBA). 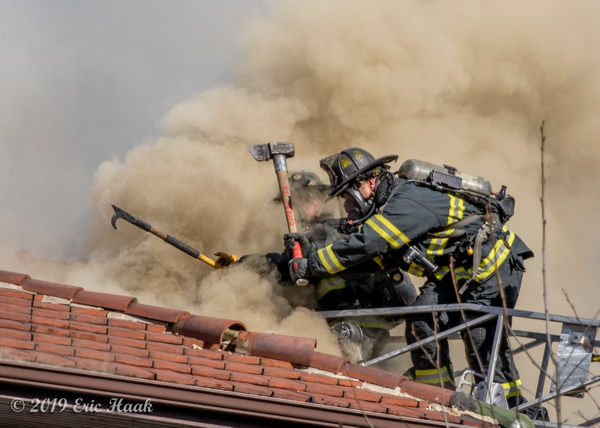 Under that law, firefighters and other public safety workers who have suffered a catastrophic injury or have been killed in the line of duty, and their spouses and dependents, are eligible for health insurance benefits paid by their employer. 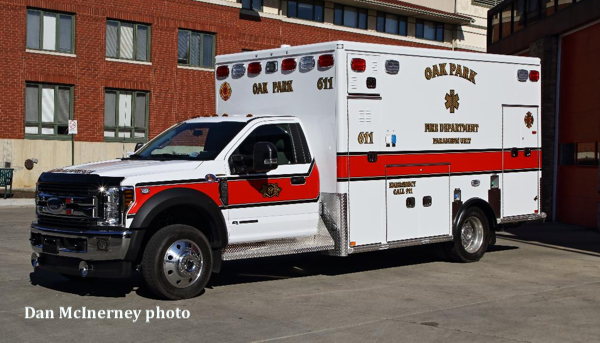 In this case, that would mean the Village of Oak Park could be required to pay those health benefits for any of its firefighters who have been hurt while performing their duties. While the PSEBA law doesn’t define the term catastrophic injury, Local 95’s complaint notes the Illinois Supreme Court, in its 2003 decision in Krohe v City of Bloomington, defined catastrophic injury for PSEBA purposes as any injury suffered by a firefighter or other safety responder for which the injured worker receives a line-of-duty disability pension benefit. 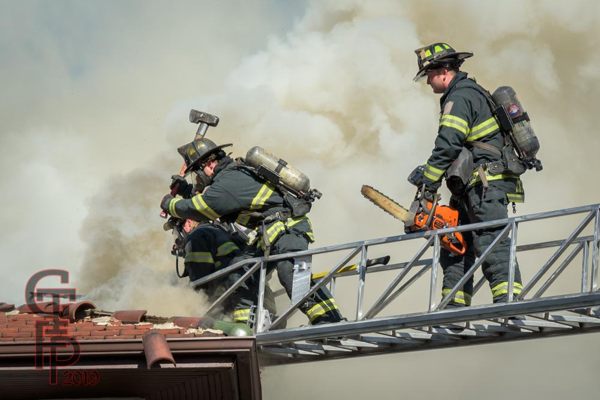 Such pensions can entitle firefighters, police officers, and others who are injured on the job to receive 65 percent of their salary for as long as they are deemed to be disabled. Further, Local 95 argued PSEBA bars local governments from providing benefits in a manner inconsistent with the PSEBA law. 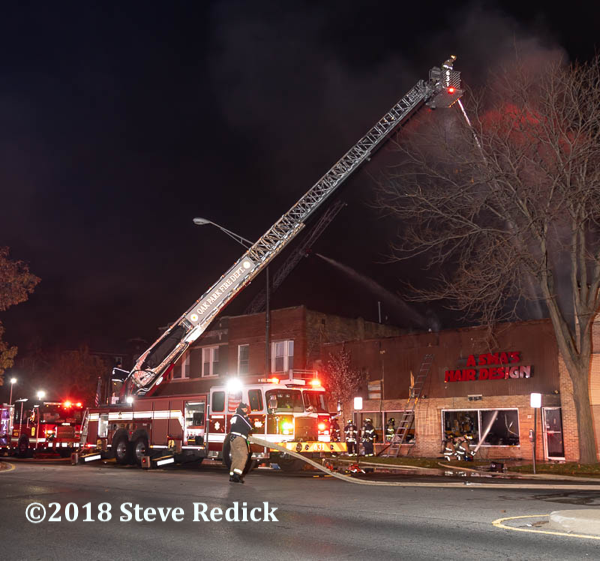 In the ordinance, the Oak Park village board placed a different definition on catastrophic injury, defining it as injuries which permanently prevent an individual from performing any gainful work. The ordinance further defines gainful work as full- or part-time activity that actually is compensated or commonly is compensated. The ordinance also requires firefighters and other village workers seeking benefits under PSEBA to file their claims within 30 days of filing a pension claim with the city. If firefighters had previously sought PSEBA benefits, they were given 30 days from the adoption of the ordinance to file their application. And the ordinance would require workers seeking PSEBA benefits to include nine categories of documents or information in their PSEBA application, including an applicant’s firsthand description of events; a signed medical authorization release; a general information release; a witness list; and all pension board information. The application must also be sworn and notarized. 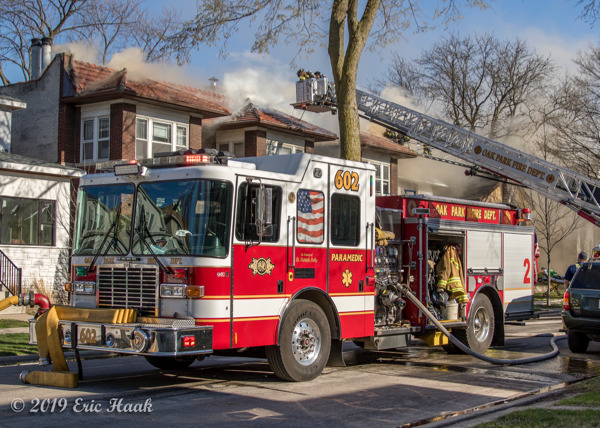 Local 95 argues those requirements all violate the PSEBA law and the Illinois state constitution, by adding steps not included under the law and throwing up obstacles to firefighters receiving constitutionally-protected retirement benefits they were otherwise entitled to receive. 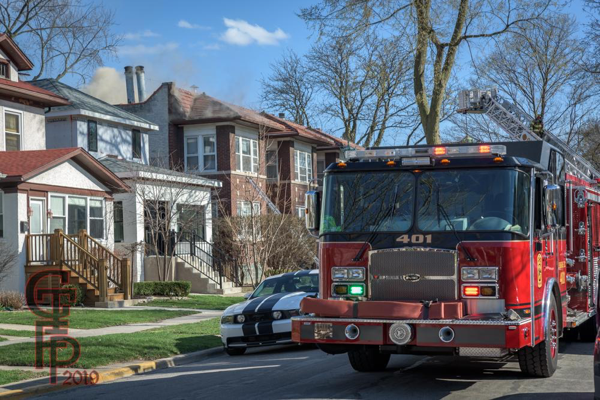 The union argued the only criteria acceptable under PSEBA to determine firefighters’ eligibility is a determination by the Oak Park firefighters’ pension board that a firefighter had suffered an injury entitling them to a line-of-duty pension. This is our new ambulance, a 2018 Ford F550/AEV. It features four wheel drive and a power cot. 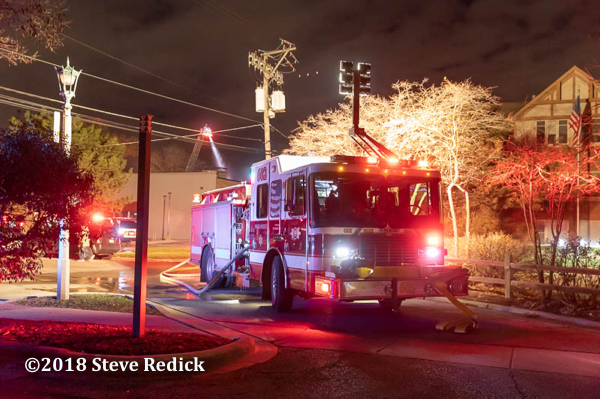 It will run out of OPFD Station 1 with A612, and manpower permitting, A613 will run out of E603. 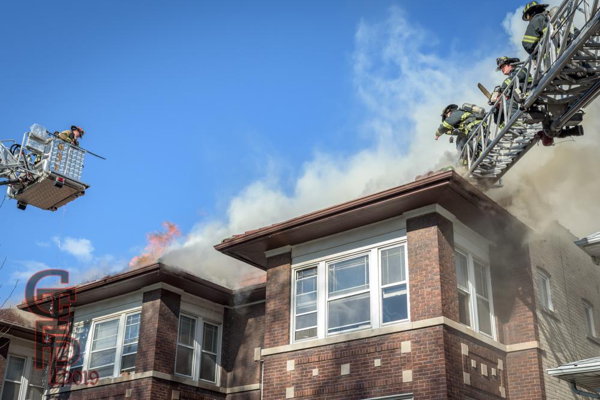 The Oak Park Fire Department was called to Good Shepherd Lutheran Church, 611 Randolph St., at about 12:30 p.m. for a report of a fire on the roof of the building Wednesday afternoon. The church’s pastor, the Rev. 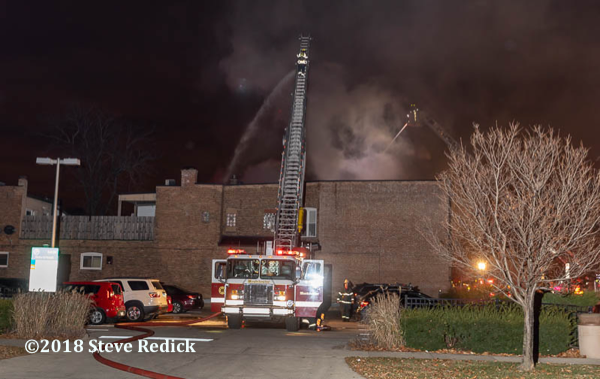 Kathy Nolte, said the damage was significant, and the church building could be closed into 2019. 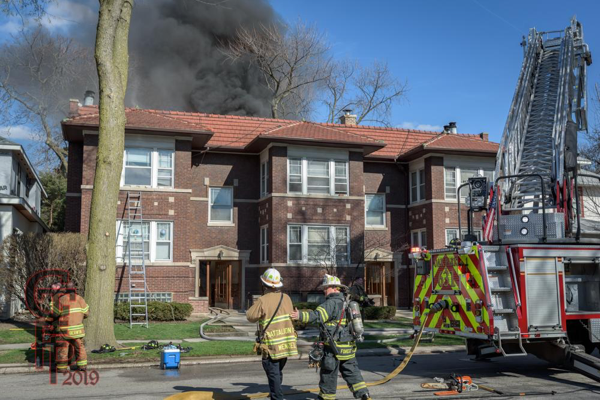 A Tuesday morning fire damaged several units of an apartment building in the 400 block of South Lombard Avenue in Oak Park. There were no injuries. 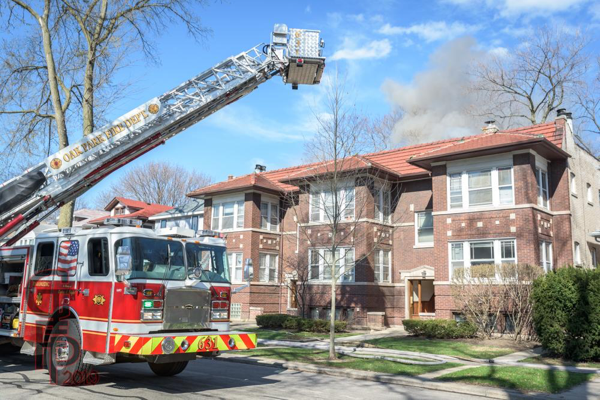 Oak Park firefighters received a report of fire at about 7:30 a.m. and were able to evacuate the three-story apartment building shortly after arriving. 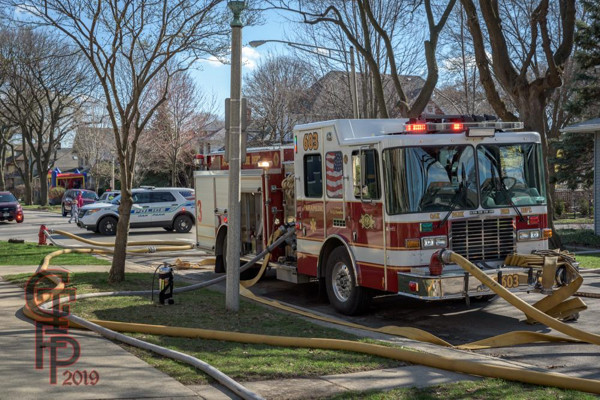 The fire likely originated in the kitchen area of an apartment on the second floor and the cause is under investigation. 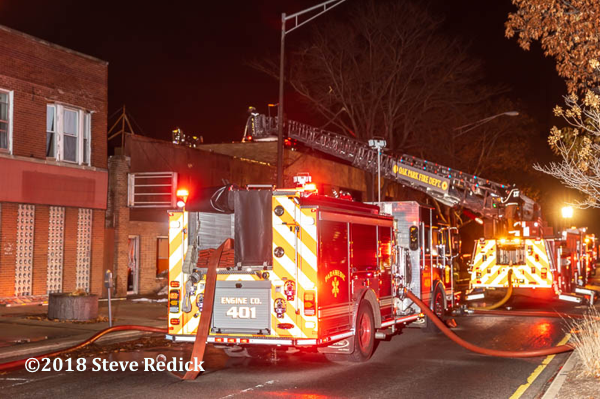 There was extensive damage to the second and third floors on the south side of the building. 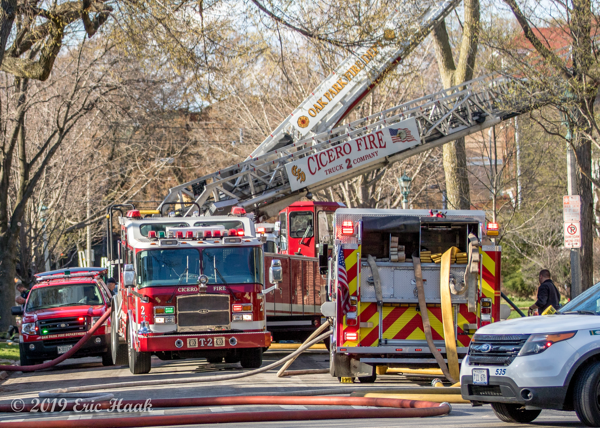 The fire had spread to the third floor, and firefighters were able to get it under control in about 25 minutes. 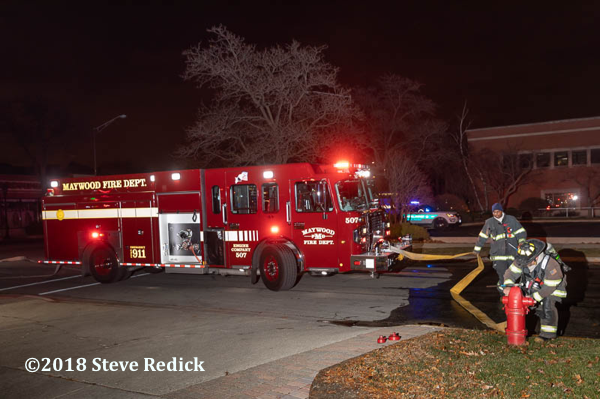 Emergency officials Firefighters from Forest Park and Berwyn assisted. 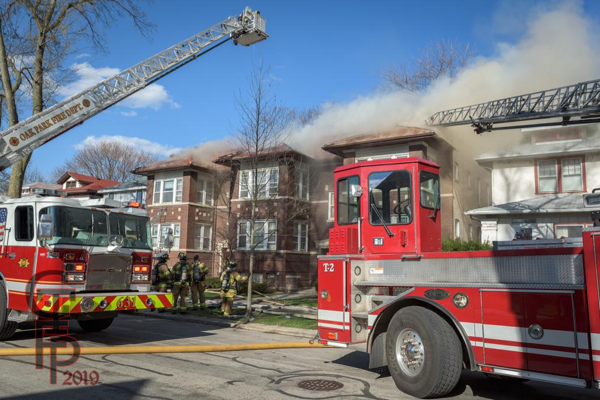 An Oak Park man was killed in a fire at his condo Sunday morning, while the families in all 10 of the building’s other units were displaced this Easter Sunday. 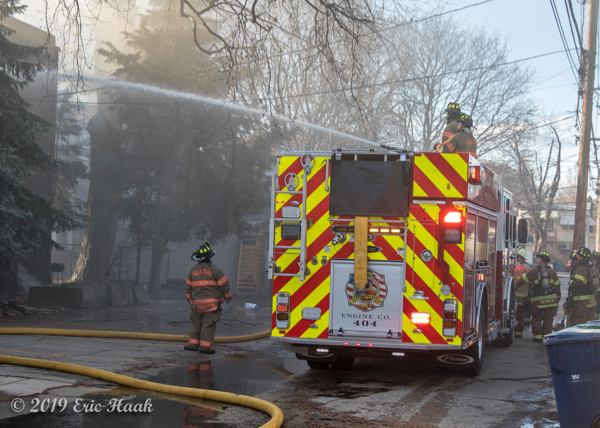 The Oak Park Fire Department responded to reports of a fire or explosion on Wisconsin Ave. just after 9 a.m. Sunday morning. 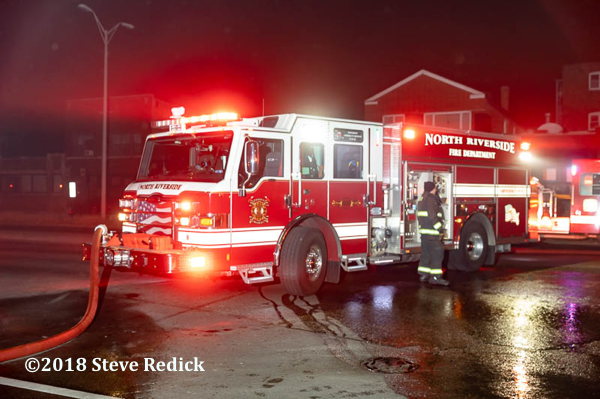 When they arrived, a fire was spreading through the condo building. Paramedics attempted to revive a victim discovered in one of the second floor condos, but the man died shortly after being taken out of the building. 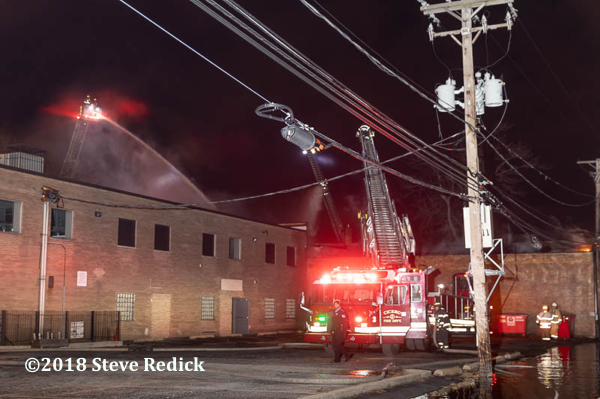 When the smoke had cleared, the toll was visible, as the building appeared “gutted” and flames damaged the building next door as well. Two people collapsed with grief upon hearing their loved one had died. Neighbor Kasey Klinger witnessed the emotionally difficult moment. The victim has not yet been identified. There were no other injuries, as the building had working smoke detectors. 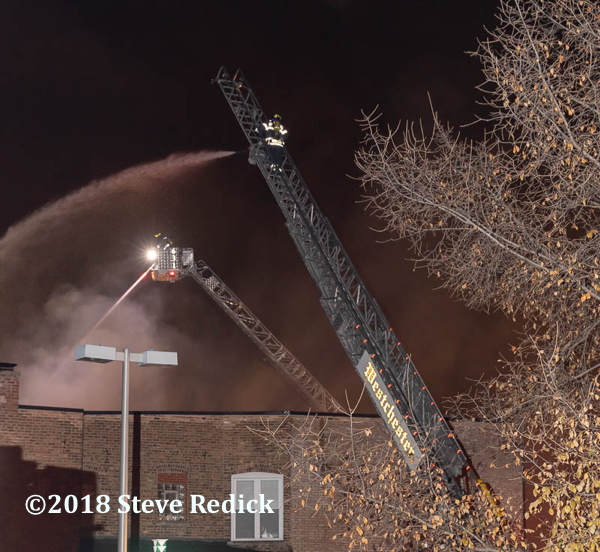 The American Red Cross is now working with displaced families to find temporary shelter, and the state fire marshal is investigating the cause of the fire.